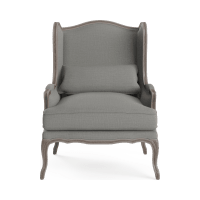 Offer additional seating options in your smaller spaces with a stylised fabric armchair from Brosa. A fabulous alternative to sofas, our fabric armchairs can transform your living area. Few things are more cosy than curling up in an armchair at the end of a long day, with a good book and a cuppa. It’s a favourite option for your personal seating arrangement, but it’s also great when you’re entertaining guests. 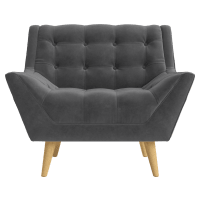 Easy to move around, our fabric armchairs fit perfectly by the window in your bedroom, by the bookshelves in your home office, or alongside a sofa arrangement in your living room. 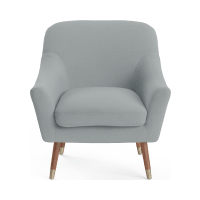 Our range of fabric armchairs can be easily paired with your existing furniture so you can enjoy a streamlined look in your rooms. 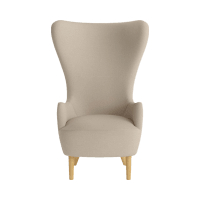 Shop for the perfect fabric armchair to match your existing decor or create an eclectic look by mixing and matching styles. 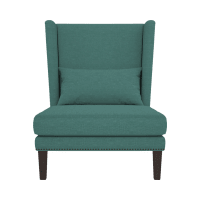 To pull off the look, a fabric armchair has to be well crafted with quality materials. Thankfully, at Brosa, we enlist the best artisans from around the world to create superior furniture that we deliver to your door. It’s the little details that count with our fabric armchairs - brass studs, hand-tufting, castor wheels, and more. Bring the finest quality to your home with our exquisitely crafted armchairs today.